Chelsea week is here again and I have been watching the television coverage on the BBC, as I usually do. 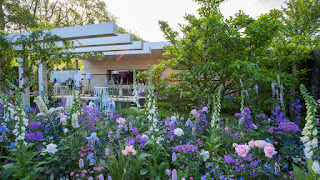 I haven't ever been to Chelsea but I don't feel I miss out too much as there is so much information available, All the photos are from the RHS (Royal Horticultural Society) Chelsea website . 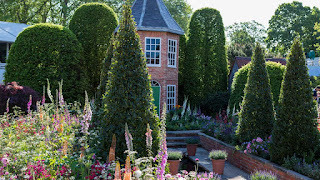 I must admit that I haven't felt as enthusiastic about the gardens as a whole this year, but I do have some favourites which I have chosen to share with you. I like the formality of the Husqvana garden above, with the exuberant planting softening the lines. Cleve West's evocation of Devon has some beautiful touches, such as the water filled stones and the delicate planting. 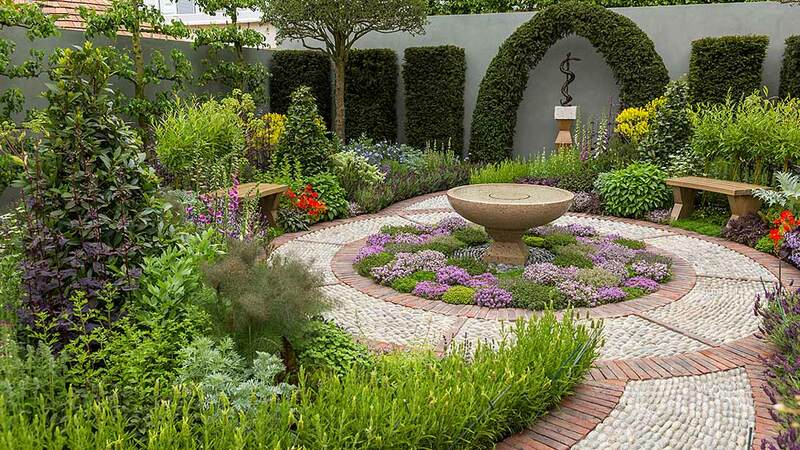 Jekka McVicar's Apothecary Garden is one I would love to have as a part of a larger garden (well, we can all dream) as it is meditative and calm as well as useful with its culinary and herbal plants. ...as is the LG garden planting. 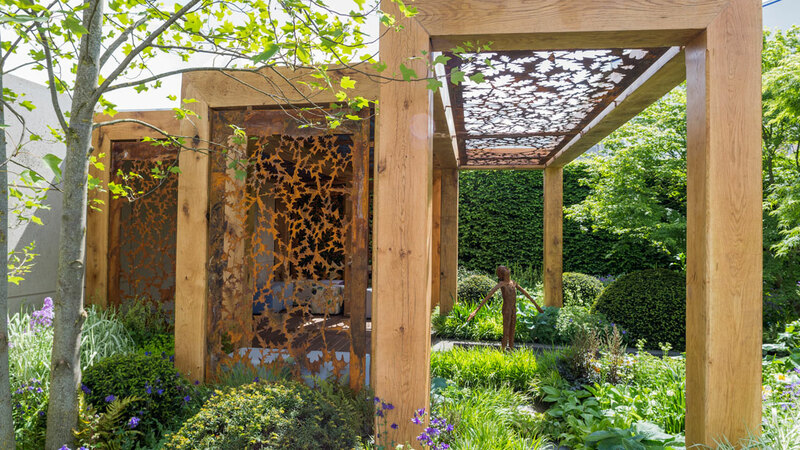 Chris Beardshaw designed the Morgan Stanley Garden for Great Ormond Street Hospital so it is lovely to think it will provide shade and calm for upset, worried and stressed families, once the flower show has finished. 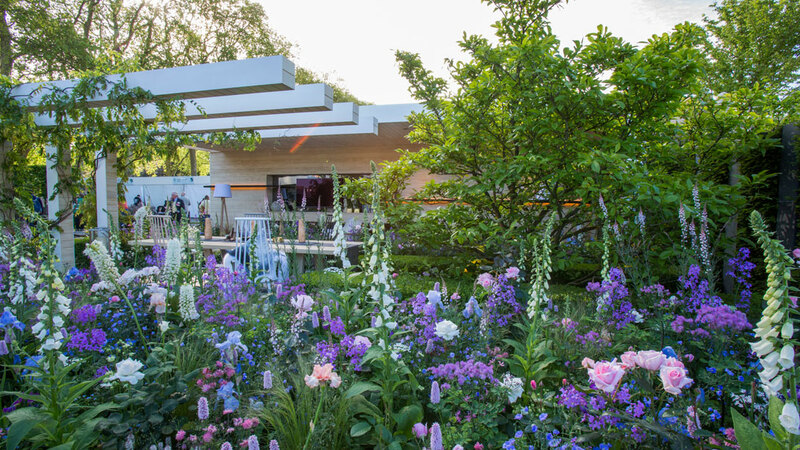 Of course I had to include this one, the Harrod British Eccentrics garden by Diarmuid Gavin, inspired by the illustrations of Heath Robinson. I loved Heath Robinson's illustrations for the Professor Branestawm stories by Norman Hunter. A still photo doesn't do this garden justice, but the bay trees turn, the box bushes go up and down, the border in front of the building revolves and the window boxes also go up and down. I think the roof of the building also opens. There is lots of colourful planting too. It made me smile! I hadn't included the garden above (God's Own Country by Matthew Wilson) because the focus had been on a view of a rather large and dominant garden room, based on a window from York Minster on its side, with stained glass behind it, which I felt wasn't as attractive as it should have been. However, the TV coverage the other night looked at this garden from a different angle and I felt I had judged it rather harshly, because the planting was beautiful. The stained glass was lit up at night too, which looked lovely. Perhaps seeing it as a whole was the secret to this garden's success, as it won the People's Choice Award. Hello Ellie, I've been to Chelsea a few times in the past, luckily on press days when it hasn't been too crowded and have thoroughly enjoyed myself. 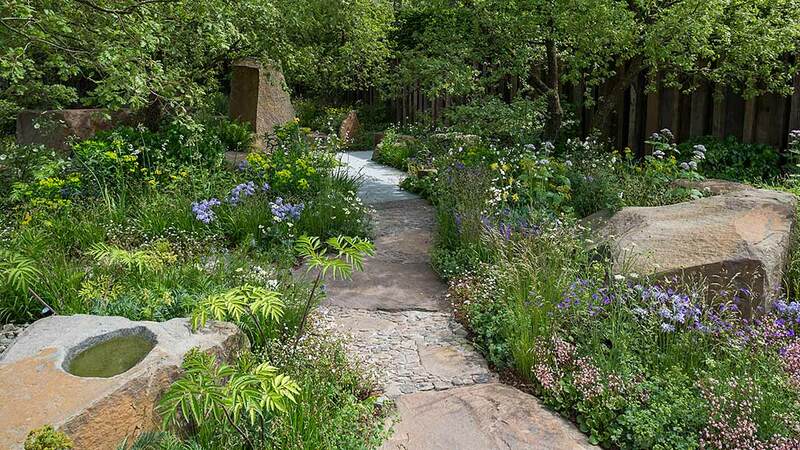 I like the Chris Beardshaw garden, his planting is always spot on. 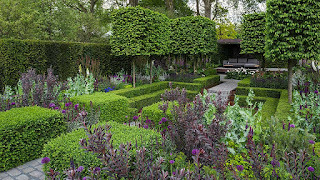 I agree with you about the Andy Sturgeon garden, all those uncomfortable angles! Thanks, Share my Garden. I was watching the coverage last night and there was just a sea of people which I think would make me feel a bit claustrophobic. I know you don't really experience the show seeing it on a screen, but it is easier to see all the gardens! I suspect it WOULD have made a difference if woman had been part of the judging team. And think they should be. Thanks, EC. I would like to go to Chelsea just once, but the huge numbers of people would be difficult to deal with, I think. 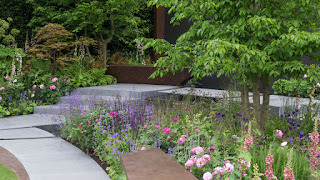 I definitely think the RHS needs to make sure women are on every judging panel! 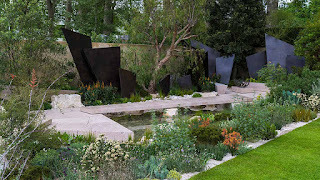 I have been to RHS Tatton Park show, which was very enjoyable and although very busy, didn't feel too overwhelming, but no other show has quite the cachet of Chelsea! 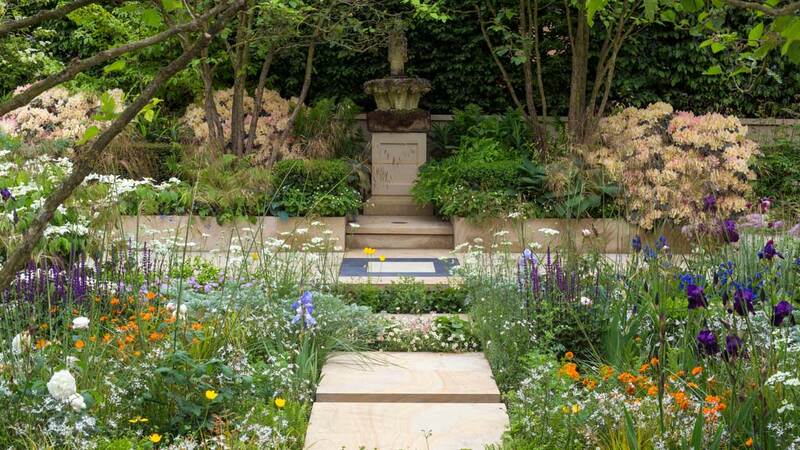 These gardens are so elegant and gorgeous. Thank you for sharing, Ellie! Thanks, KimM. They are beautiful and I like seeing the different styles and designs. 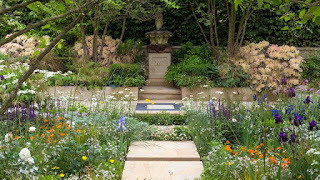 It's always nice to hear that a garden has a life after Chelsea too (as some of them do). How long does it take to knit a scarf?